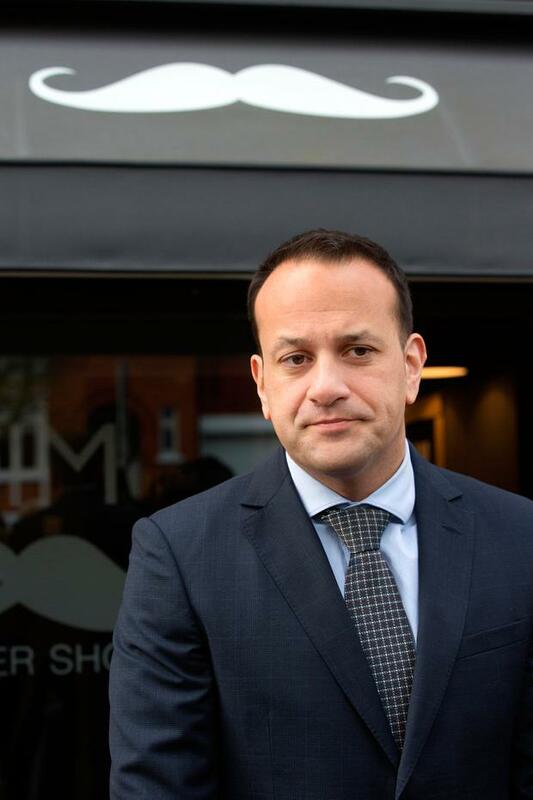 Leo Varadkar has said Taoiseach Enda Kenny's "successful" trip to the United States shouldn't be "marred" by talk of the upcoming Fine Gael leadership contest. Enda Kenny caused concern and anger in some quarters of Fine Gael with his remarks suggesting his "immediate priorities" are Northern Ireland and Brexit, not setting out a date for his departure as leader. He has promised the party he would address his future "conclusively" on his return from St Patrick's Day celebrations in the US. Now Minister for Social Protection Leo Varadkar - one of the main contenders to succeed Enda Kenny - has signalled that the Taoiseach should be allowed some breathing space. And a supporter of Minister of Housing Simon Coveney - Varadkar's main rival - also indicated that the Taoiseach should have time to clarify his intentions. Leo Varadkar told the Sunday Independent: "The Taoiseach's visit to the US was very successful. "He cemented the American-Irish friendship but also spoke truth to Trump on immigration and how migrants make America great," he said. Varadkar added: "I think his diplomatic success should be recognised and not marred by talk of the leadership contest." Kenny has been widely praised for his subtle defence of immigrants in a speech delivered in the presence of US president Donald Trump, who has pledged a hard-line crackdown on immigration into the United States. The source in the Coveney camp said they weren't surprised that Enda Kenny appears to be trying to set out "a little bit of space" to address the leadership issue. They said that it's expected that the majority of the party will allow Kenny time to address his future, adding: "It was never going to be Monday morning that he'd arrive in to make his announcement." Nevertheless, Kenny's remarks in the US have raised the hackles of Fine Gael backbenchers. There is an expectation by some in Fine Gael that he should address the issue of future leader as early as this week's parliamentary party meeting. Doubts about Kenny's intentions first arose early in the week when a draft version of a speech he was due to deliver said it would be his last St Patrick's Day as Taoiseach. This was withdrawn and the section was removed with Mr Kenny saying, ''it shouldn't have been in there". Then last Thursday Enda Kenny refused to say whether or not it would be his last time he would visit the White House for St Patrick's Day during an RTE interview. Last Friday in New York he responded to questions about his leadership, saying the need to form an Executive in Northern Ireland after the recent elections and the upcoming Brexit negotiations are his priority. He reiterated that he has told his party he would deal with the issue "effectively and conclusively". "That's my intention. But I think these [Northern Ireland and Brexit] are priorities that take precedence over anything else." One Fine Gael source expressed irritation at Kenny's remarks, saying: "His departure could be delayed forever if he's to pick random new subjects continually in the future." Another said "nobody wants a motion of no confidence" but said it remains a prospect if Kenny doesn't clarify his intentions soon.